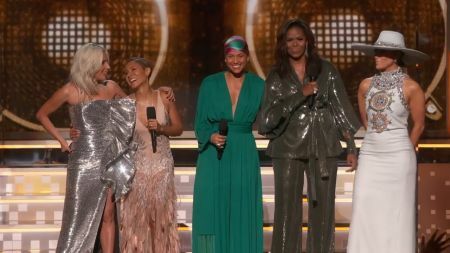 Alicia Keys kicked off her debut Grammys hosting gig with a sweet surprise from some of her “sisters.” Lady Gaga, Jada Pinkett-Smith, Former First Lady Michelle Obama, and Jennifer Lopez strutted onto the 2019 Grammy Awards stage on Feb. 10, holding hands and the crowd screamed in excitement at the sight of the fabulous foursome. Along with Keys, these five women have collectively inspired millions of people all over the world with their positive messages of self-love, kindness, and compassion for our fellow people everywhere. It was truly a sight and a speech to behold. 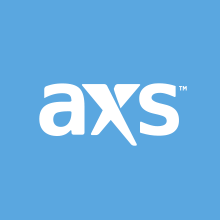 Overall, the female kickoff set the tone for a night and a ceremony that would be dominated by explosive female performances from Camila Cabello’s opener to the Dolly Parton MusiCares tribute and female victories like Lady Gaga’s three Grammy wins, and Kacey Musgraves’ Album of the Year surprise win. Alicia Keys also did an incredible job for hosting her first-ever Grammys. Listen to the ladies’ entire 2019 Grammys opening speech in the video embedded above.